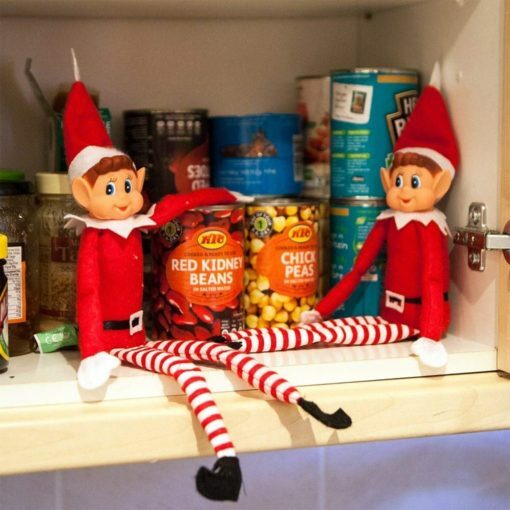 As some of you may know, Fred the Elf is our exchange Elf, who loves to visit the homes of our wonderful friends in the South. Santa believes that theses short monthly visits provide us at The North Pole with invaluable information on how you Southeners live! He is all packed, Mrs Claus has given him his supplies ready for the journey South, and Fred cannot wait to visit your home. Now, SC has asked me to issue you all with a quiet word of warning; Fred can be a little bit of a handful. As you can the see from the photos, he can sometimes make mischief whilst lodging at his new home! We recommend you keep an eagle eye on him, as SC wouldn’t want him being a bad influence on the children of your family! If you think you could give our exchange Elf, Fred, a home for the month of December, please apply via our shop. We look forward to hearing from you all.